are active participants in our community. 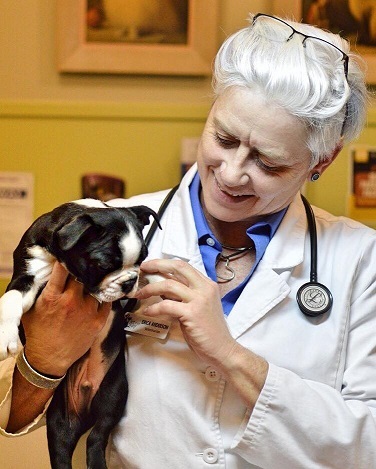 When you are looking at veterinary care for your four-legged family member, you should be able to count on superior customer service and sensible, quality medicine in a great environment. Our goal was to assemble an expert team of veterinary professionals to bring you just that. We have a full-service veterinary facility that smells pleasant, is a comfortable atmosphere, and runs efficiently. We will work together to collect any previous medical records from other facilities. Please bring in any pertinent history you have when you come to Jet City. Accepted Forms of Payment:We accept debit cards, credit cards (Visa, Mastercard, Discover, Care Credit), cash and checks. When unexpected illness strikes a pet, unexpected expense follows with it. Our medical family understands this and is able to make some special arrangements through the CareCredit program. It takes just 5 minutes to complete an application and will allow you to break down your payment into 3 monthly installments. You can either apply at our hospital, where we’ll call in your application over the phone for immediate approval, or apply yourself online at: www.CareCredit.com. Jet City Animal Clinic offers some of patient forms online so you can complete it in the convenience of your own home or office, prior to arriving which helps to speed up your check-in process. Download the necessary form/s, print it out and fill in the required information. Fax us your printed and completed form/s or bring it with you to your appointment.